Kustom Truck is your glider kit truck building and technical support headquarters! We offer options! 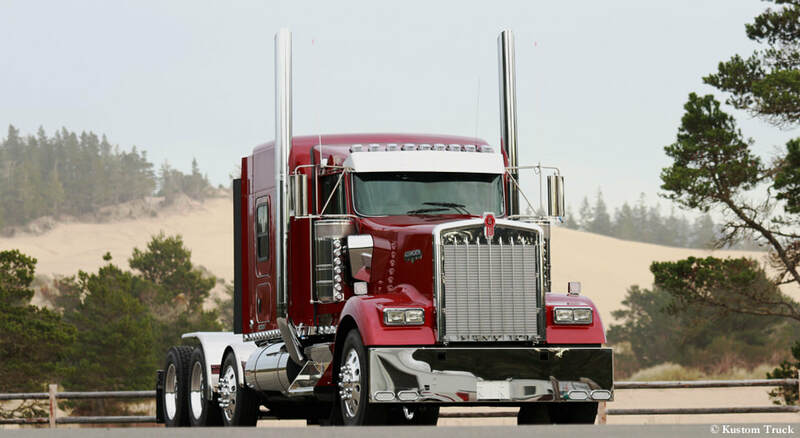 We offer complete Custom Peterbilt, Kenworth, Western Star and Freightliner Glider Kit Trucks, Glider Kit Drive Train Packages, and Assembly Part for Glider Kits. Kustom Truck is your premier source of supply for the truck and equipment parts, heavy duty truck engines, and heavy duty truck transmissions. We offer Kustom glider kit trucks, glider kit build packages, assembly parts kits...everything you need for your glider truck build. If your next glider kit build includes a factory reman crate engine, factory reman crate transmission or engineered assembly parts kits required to assemble your chassis, Kustom Truck can help with all your needs. Kustom Truck is an OEM distributor of products for Caterpillar, Cummins, Detroit, Eaton Fuller, Allison, Dynaflex and Lincoln exhaust systems. 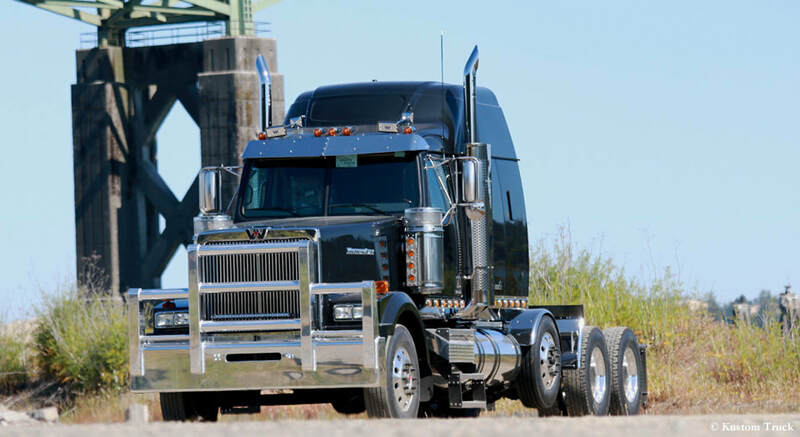 We offer a complete line of assembly parts kits that have been engineered, prototyped and developed for the installation of non-current production engines and transmission into current production Peterbilt, Kenworth, Freightliner and Western Star glider kit trucks. If you need help determining exactly what is required, or the cost associated with building a current production glider kit. Kustom Truck can provide you with the guidance and a budget cost for building your next glider kit truck. 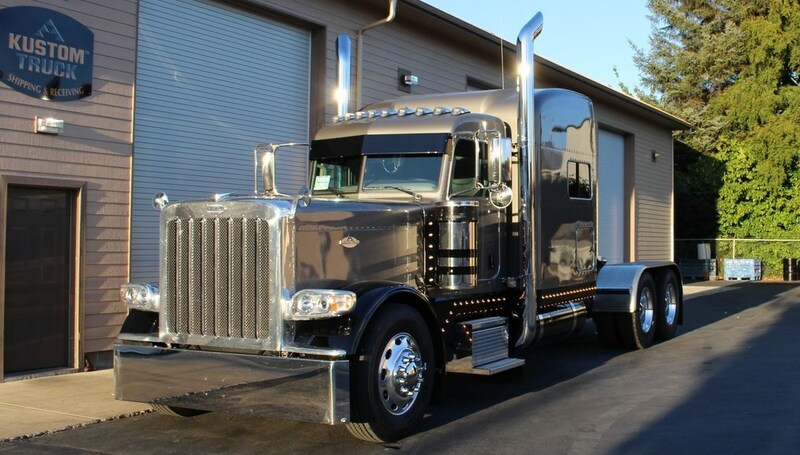 We can assist you in your custom Peterbilt, Kenworth, Western Star or Freightliner build. Call us at 1-888-564-8890 or 1-541-267-6990 to discuss your options on your next project. Eaton Fuller manual, Eaton Fuller Ultrashift and Allison New World transmissions that can be purchased either outright or core exchange. All transmissions come with OEM factory warranty through any authorized OEM dealer or distributor. Caterpillar, Cummins and Detroit factory reman engines that can be purchased either outright or core exchange. All engines come with factory reman OEM warranty through any authorized OEM dealer or distributor. Complete build packages for Caterpillar, Cummins & Detroit Diesel engines for sale. Our upfitted engines, transmissions and build kit boxes take out the guess work and streamline your install. Kustom Truck has a complete line of assembly parts kits, with no workarounds or modifications by the installer or builder.